Android documents explain that app logo is used everywhere when it is defined. But when the search view expands, app icon is used instead of app logo and I can't find a way to show app logo when search view is in expanded state. Here are the relevant parts. NOTE: I use ABS SearchView but same thing happens when I switch to default SearchView. EDIT : I added some screenshots for clarity. Here I used the star image for app logo, and android image for app icon. The first screenshot is the default view of activity. The second one is the view when I click search button. It shows the android image while I expect it to be the star image. You're using a completely different SearchView you declared in menu.xml. With this code you create new SearchView, which is not what you want. So try creating menu like this. This is the setup I have in my current project and never experienced any problems like these. 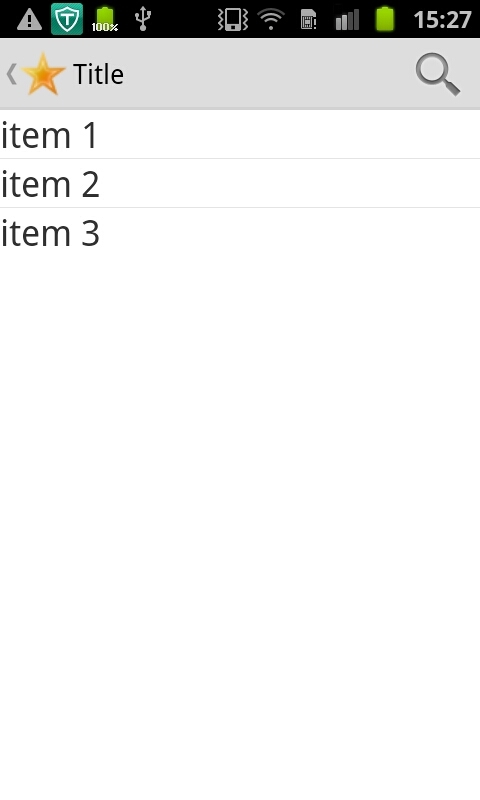 Just remove collapseActionView from your menu Xml. To replace the icon with a logo, specify your application logo in the manifest file with the android:logo attribute, then call setDisplayUseLogoEnabled(true) in your activity. ...not there is also a setLogo. Regardless to if you have the icon in the manifest set to something different, this will tell the activity to use a different image during runtime. And the issue is gone. And then use the onActionExpandListener to change the icon/logo to the correct value when then SearchView is expanded. This solution may also work if you define the SearchView in menu.xml, but you'd then still need to setup the onActionExpandListener() in code to do the same as the above example. Not the answer you're looking for? 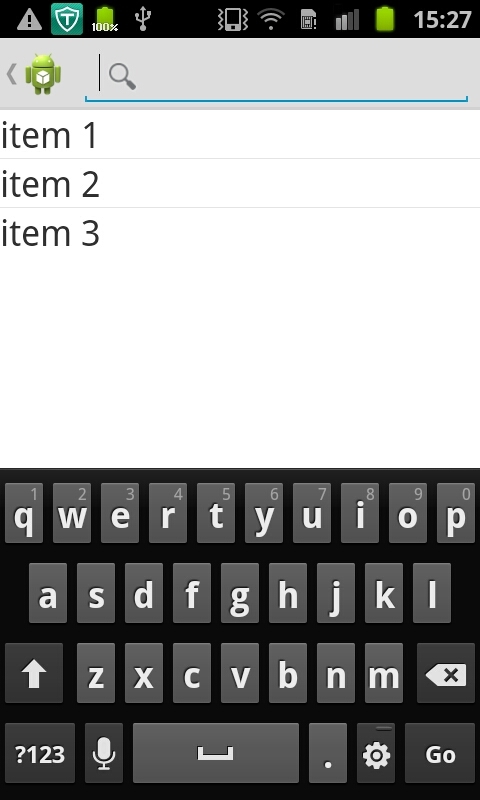 Browse other questions tagged android android-actionbar actionbarsherlock or ask your own question. How to change dismiss (home) button of searchview in Sherlock action bar?